We are acutely aware that the decision to buy or sell a property is one of the most important decisions many of us will make in our lifetime. Research has shown that it is also a very worrying and stressful time for people. It follows that choosing your conveyancing solicitor is a key element in the whole transaction. Call our property solicitors in Letterkenny on 074 91 29110 or01 531 3494 in Dublin to get your conveyancing process started. "Very efficient positive service... top class, everything was dealt with quickly." You have great staff in Fiona and Martina. I know we are clients but we have been handled excellently and efficiently by both the girls. Always courteous, professional, and made very welcome - nothing too difficult! Fiona went out of her way on Saturday to accommodate us." "I was very pleased with the service provided by Lanigan Clarke Solicitors. Amanda Lafferty was efficient and professional- a friendly "human" manner. and I would get the compensation that I was entitled to. Though the process was lengthy everything went smoothly and your team kept me up to date with every step of the way. And a special thanks to Jane Lanigan for her hard work throughout the case and for keeping me calm and reassuring me throughout the settlement period. I will not hesitate to recommend your services to friends and family." "Thanks for all the help and advice you have given me and my family over the years. The team have dealt with a car accident case, personal injury case, a rent to buy agreement, will probate and property sales. I cannot praise each and every member of staff enough." "We cannot fault the advice and professionalism of Garry, Sinead and Amanda. They have had the patience of a Saint. We would recommend Lanigan Clarke without any hesitation whatsoever." Our property solicitors act in transfers of sites from parent to children, acting for homeowners buying or selling their family homes, investors and commercial purchasers. We encourage early instructions from our clients to minimise delay. The earlier in the transaction we receive your instructions to act the more we can assist you in the transaction. We use the latest technology to take as much of the worry and stress out of the transaction for our clients. Clients are kept abreast of developments at all stages during the conveyancing process. Clients are advised in writing of all the legal costs involved in their transaction. We provide written quotations for property transactions on request. We also provide practical tips and advice to assist in the transaction and will help and guide you through your mortgage application, insurance, life cover and property survey. In short we provide an efficient and friendly service to our clients in line with the quality standards that we have set for ourselves. 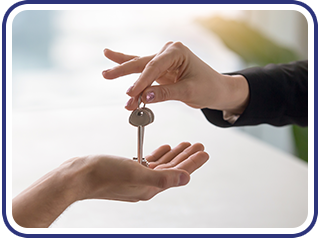 We advise Landlords & Tenants in relation to drafting and negotiating leases, rent reviews, rights to renewal, obligations and entitlements under the lease, statutory entitlements and obligations and registration with the Private Residential Tenancies Board (PRTB). If you are thinking of buying, selling, letting or leasing property, refinancing or re-mortgaging get in touch with our property solicitors today by filling in our contact form.